Interested students can find all necessary information explaining the MSc Programmes, entry requirements and the selection process in following below links. 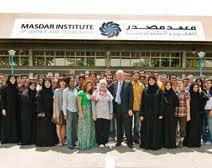 In general IRENA advises interested students to study MASDAR Institute`s `Student Academic Handbook`. Demikianlah informasi 20 IRENA Scholarships at MASDAR Institute of Science and Technology kami sampaikan, semoga bermanfaat.